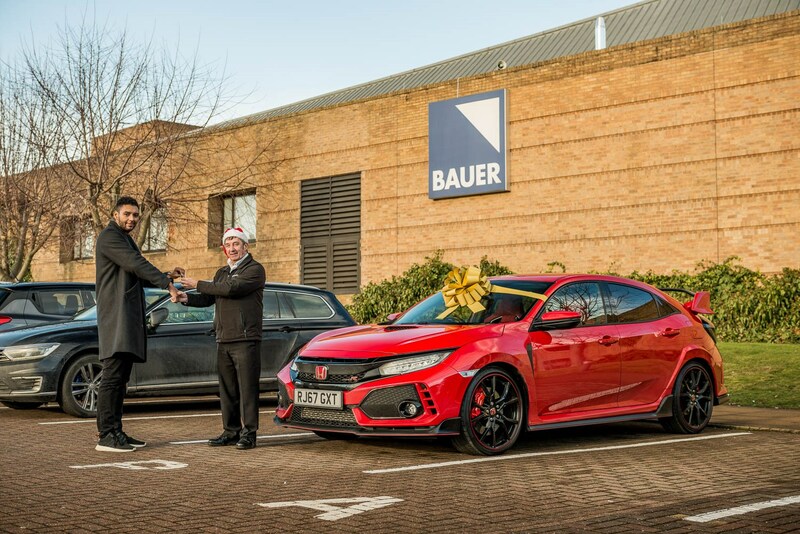 It’s almost exactly a year since I was first presented with my very first long-termer, the divisive Honda Civic Type R. In the seven months that followed, I found Honda’s latest Type R combined all the performance of a sports car, the practicality of a family hatch – and the styling of… well, a robot really. Even in the rich red hue I ran, the Type R’s looks seemed to invite comparison to hot wheels cars and comic books rides – but for me, its look made it something out of the ordinary. Something special. 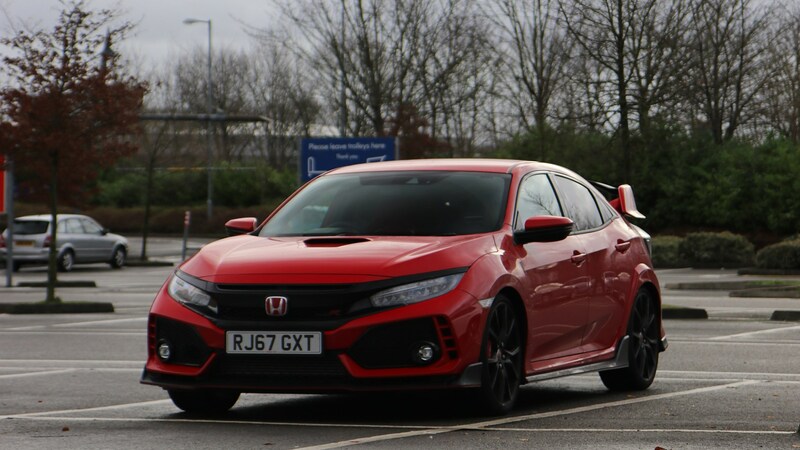 Despite costing around £33k, returning to the Type R in a car park generated the same sense of excitement you tend to get from something like a BMW i8, or Honda NSX. Because I wasn’t running the car for six or seven months this time, I decided to double-down on that divisive ‘Marmite’ energy, and asked for Honda UK’s very own BTCC-liveried Type R. Black emblazoned with glowing orange Halfords and Yuasa Battery signs, this Type R looks like a touring car that’s taken a wrong turn to Brands Hatch, and almost legitimises its track-ready styling. I loved it, but most of the CAR team decided to not to drive it, because of ‘judgement.’ Regardless, in this guise I feel the Type R fulfils its ridiculous, showy potential. So does it feel any different? Ridiculous is a word that you I keep coming back to when pushing the Type R, and 7 months and numerous other cars, I’ve gained a new appreciation for its usability and performance. And it’s important to separate those two things, because the Honda’s brilliance is two-fold. On one hand, you’ve got epic performance that you simply don’t expect from a car this large, or this non-supercar-y. 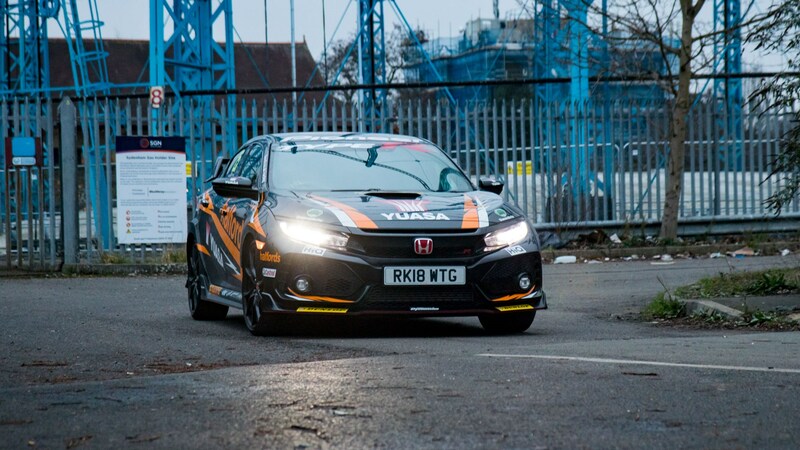 The 2.0-litre VTEC Turbo engine in the Honda is a beast, and seemingly rips up any bit of road you put in front of it. In anything less than perfect conditions, you’ll find the 4 cylinder turbo under that bonnet scoop snorting and struggling to put its 316bhp down - the traction light blinking pretty much all the time. But it’s only when trying to harness its power that the Type R is ever really unstuck. Through tricky twists and turns, greasy slip-roads and single-track roads, the Honda is on rails, and nailed to the tarmac. But not in a numb, unresponsive way, but in a fashion that dares you to do far more as a driver. So, it feels as fast as it is on paper, but the Honda’s other strong suit is the insane level of feedback and control you get as a driver. Everything in this car is perfectly weighted to help you exploit the grip and performance on offer – or at least make you think you are. And the gear changes on this car deserve their own paragraph, too. Even without the rev-matching – which does feel a bit like cheating nowadays – the Type R’s shifts are satisfying and reassuring, and leagues of its rivals. Put this all together, and it really does feel like you’re driving a touring car – especially with the tasteful Halfords paint job. 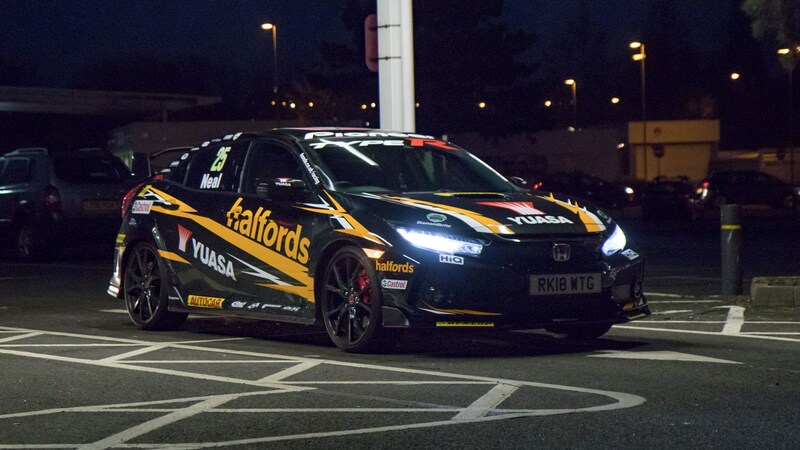 The only thing missing could be the gutteral sound you’d get from Matt Neal and Dan Cammish own car, but even then this Civic sings in its own mechanical way over 5,000 revs. So is this still the car I’d buy with my own money? Well yes, but now I’d get a wrap for it, too. Smash that like button, to be honest. The day I've been dreading has come. It's time to say goodbye to the Civic Type R. Over the last seven months I've got to know Honda's hyper-hatch extremely well, and in some ways it's everything I expected. In others it's been a revelation. First, the looks. 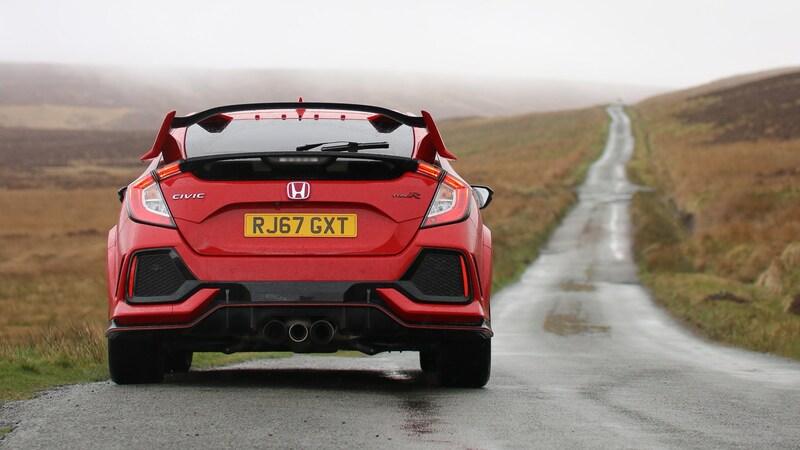 From its anime-like front end, to those flared arches and that positively aeronautic rear wing, the Type R is supercar drama in a hot-hatch body. More than a year after launch, the dramatic styling of the Honda hasn't lost any punch: it's still one of the most arresting cars on the road. Lined up against other hot hatches such as the Ford Focus RS and the VW Golf R, only the new Renault Megane RS matches the Honda for sheer optical impact. It's special because it's rare too: I've only seen a handful on the road, compared to about 45,000 Golf Rs in Peterborough services alone. Unlike its styling, the raw performance and capability of the Honda isn't remotely subjective. After getting the Honda back from its scheduled service this month (the £850 bill includes two £250 front tyres, one repaired alloy and the usual bits) I decided to get the most out of my new tyres, and give it a thorough shakedown. Even after seven months of driving, the Type R's point-to-point pace is still an eye-opener. First thing you notice is just how heavy the steering is: wrestling the Type R in +R mode actually works your forearms, but it feels much more reassuring than Ford's light-but-precise Focus RS steering, for example. Its stoppers are ahead of anything comparable too, feeding back more information at every stage of braking, and it's far faster than the (cheaper) Hyundai i30N. Even compared to supercars like the Audi R8, there's something about the Civic Type R that is inherently more alive, engaging and responsive – only the Porsche 911 GT3 has the same 'fingertip feel' to me. And I can't forget the Honda's gearbox; a manual transmission executed so perfectly it was left virtually untouched between this Type R and the last. The short-throw six-speed 'box is still a benchmark, with ratios close enough to keep you busy, but long enough for sixth to be economical on the motorway. If you want to be flattered, the Honda will automatically rev-match on downshifts, though you can heel-and-toe manually if you'd prefer. As for the engine, it's a beast. It's easy to see why Ariel has nabbed it for its latest Atom. It'll pull in all gears, and although it doesn't have the more varied soundtrack of some other hot hatches, it does have its own unique note, punctuated by sharp wastegate hiss. The only slight annoyance? With this much power channelled through one axle, wheelspin can be an issue in the wet – but would you rather carry the weight of a four-wheel-drive system? 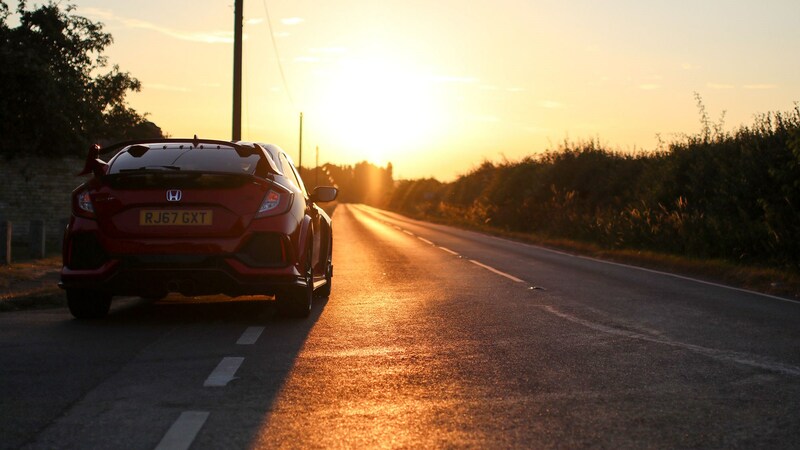 Alongside its speed, the Type R's secret strength is just how 'boring' it can be (from the inside, anyway). In Comfort mode, you're thankful for features such as adaptive cruise control. And on many journeys I've only scratched the surface of the 300bhp-plus. Perhaps that's why it has averaged more than 30mpg, a figure I'm both proud and ashamed of. So, it's a car that somehow strikes a balance between boisterous performance and mundane practicality. It can hound supercars on twisty roads but is equally at home in supermarket car parks. It'll always look like a Transformer, but for me that's another positive. Even after driving the majority of the competition, it remains the hot hatch I'd spend my own money on. For the last few months, the Type R has led a double life. With +R mode engaged, it’s been a red blur, seen around roundabouts, B-roads and the occasional Starbucks. But with Comfort mode enabled, it’s been a pleasant shuttle between London and Stamford, the Lincolnshire town I now call home. And then one Sunday night this all stopped seeming like such a good idea. Ten minutes north of the Dartford crossing, I’m steering a lot to keep the car straight – even with lane-keep assist enabled. After slowing down, I hear a bang and get the feeling I’m driving on three normal wheels and one giant 50-pence piece. I’ve just had a tyre blowout, and it’s going to make my evening significantly more complicated. The runflat gunk just won’t fix this one, so I give Honda’s breakdown service a call from the hard shoulder. After an hour the AA – which Honda uses – appear, but they can’t get the specialised rubber replaced or tow my car. Instead, they summon a recovery vehicle. The first recovery vehicle appears and says my Type R is too low, but later a more suitable one recovers me back to London – at around 2.30 in the morning. An AA van appears without warning five hours later, and I’m told they can’t recover the Civic to the local Honda dealership. Sounds familiar, doesn’t it? After a third AA person appears and says he can’t give me a tow either, we hatch a plan. Two hours and several phone calls later, the Type R is on three wheels outside my house, and we’re at Honda, with the fourth wheel, getting the tyre replaced. That smudge of rubber around the Type R’s huge alloys? That’ll cost you £250. All four wheels are back on the car by about 4pm, which means the best part of a day has been eaten up trying to get the Civic mobile again. While I can’t complain about the car itself – or the tyre that failed – I can feel very disappointed about the breakdown service that followed. It really shouldn’t be that complicated, should it? Modern cars are often criticised for giving drivers unnecessary levels of choice but I’m starting to crave a few more choices on my Civic Type R. The Honda has three distinct performance modes, with +R being the most extreme, Comfort the softest and Sport floating somewhere in the middle. Each mode transforms steering feel, engine response, suspension and more. But where you can mix these on other cars, you can’t on the Type R.
In +R mode, the Civic’s steering comes into its own, channelling incredible levels of road-surface detail through the wheel. But on the M25, the firm, race-ready +R suspension isn’t what you want. Instead, you want the softer and less intense Comfort suspension. But there’s no way of combining the two – so you have to make do with Comfort’s less informative steering. And because Comfort changes the engine character too, you’re forced to drive a very different car just because you don’t want to feel every M25 crevice. Sport mode provides a compromise between the two, but the lack of customisation is jarring. It’s a significant oversight in a Type R that’s supposed to be easier to live with, and a key area the Civic Type R lags behind its rivals. Maybe one for the next gen, or a software update? 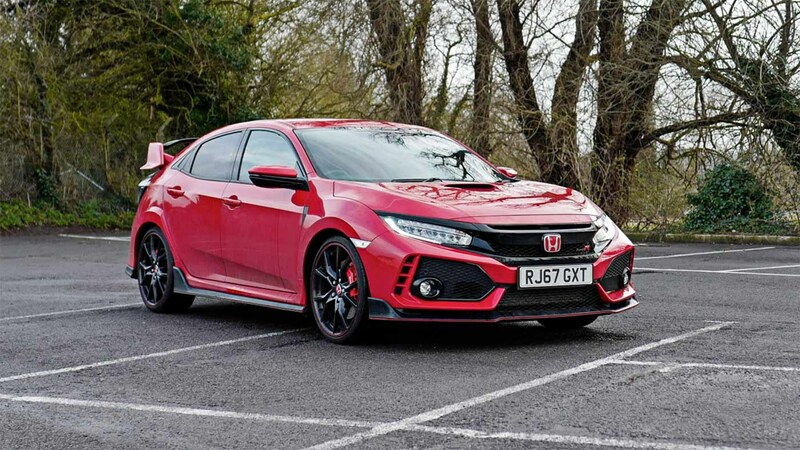 Diary update: what does Jenson Button make of the Honda Civic Type R? 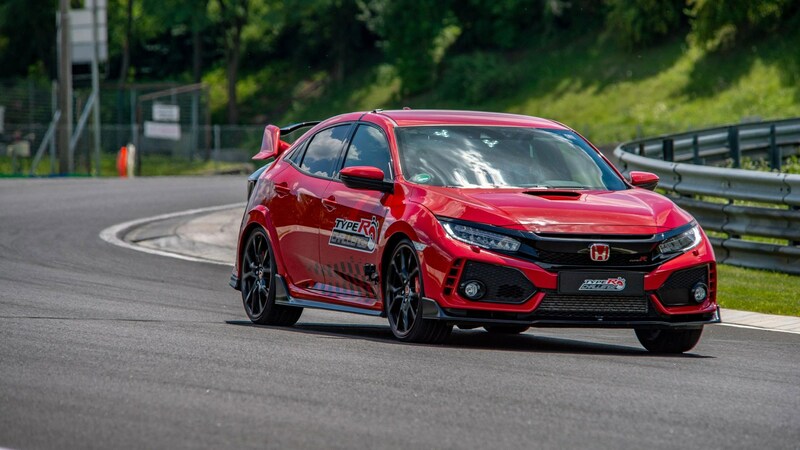 For the last few months, Honda has been taking a Civic Type R to different tracks around the world to demolish the lap record for production front-wheel-drive cars. This week, the Civic Type R took the lap record at the Hungaroring with Jenson Button behind the wheel. The ex-F1 and current Super GT competitor set a time of 2min 10.19sec around the track where he also took his first F1 win ever, for Honda in 2006. After the lap, Button also gave some feedback on the new Type R – the same one I’m running as a long-termer. ‘The first thing I noticed when I left the pitlane was how neutral the car was,' he said. 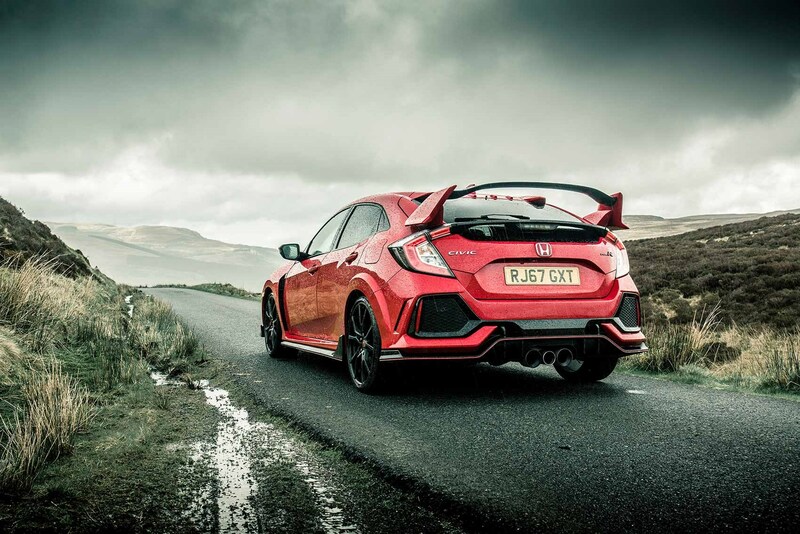 'I come from a background that is not front-wheel drive focused, so it was very different for me but because the Type R is so well balanced it was instantly really enjoyable and more natural. 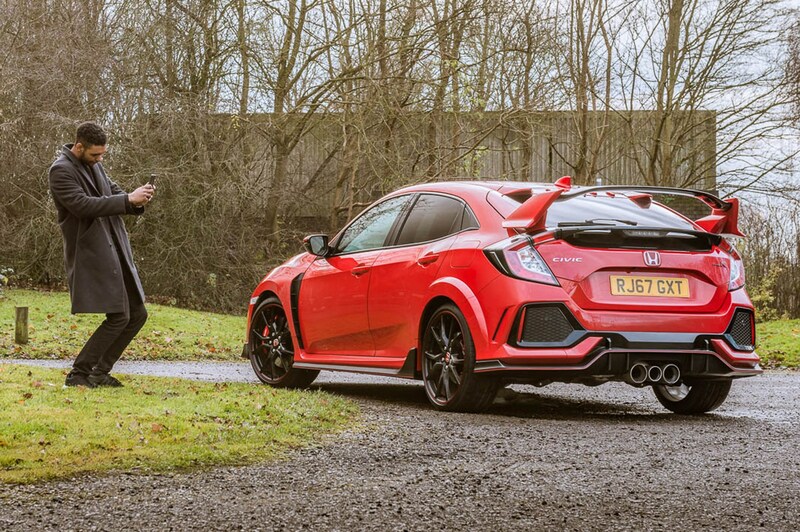 Month 4 living with a Honda Civic Type R: how does it compare with a GT3? This month involved a little less Honda than usual and a bit more Porsche 911 GT3. Yet I wasn’t as disappointed by having to jump back into the Type R as you’d expect. Sure, the Honda lacks the Porsche’s fizzing 8000rpm redline or timeless looks, but it’s obscenely planted, with just the right amount of power under that gaping air scoop – and it’s begging to be thrown around. Its usability inspires confidence, and the looks are starting to grow on us, too. Curtis and I swapped cars over the weekend, with him driving my usual Hyundai i30 N long-termer and me borrowing his Civic Type R.
It’s a little while since I’ve been behind the wheel of the Civic, and I’d forgotten just how brilliant it is. I wish my i30 N had the same sense of precision; the Civic’s steering and body control are leagues ahead of the Hyundai's, which itself is a great driver’s car. That shouldn’t come as a surprise, of course, given the Civic’s higher price point and the fact that the base Civic has a more sophisticated chassis than the i30 N’s donor car. For me, what makes the Civic such a satisfying car to drive are its control weights and touch points - there’s plenty of feel through the brake pedal, the clutch and gearshift are perfectly weighted, and the steering rack is geared just-so. All that means you can enjoy the car at almost any speed - it’s almost as much fun to drive slowly as it is quickly, picking the perfect line through a corner and enjoying the instant response from the steering, lack of body roll, and yet supple ride quality. I suspect the Type R’s dampers are quite expensive. Another plus point: although the Civic is more powerful than the i30 N, it’s much less thirsty. The Type R’s looks have started to (slightly) grow on me, too, and I think it’s a better-looking car than its FK2 predecessor. It is a shame it has such extreme styling, though. As much as I love driving the Type R, I still can’t get used to people staring, first at the car, and then its driver, everywhere it goes. The Civic’s drivetrain and chassis inside the i30N’s body - maybe that would be the perfect combo. One mile-heavy month into life with the Type R and my brain is now fully dialled into manual-gearbox driving. With the rustiness gone I’ve been fully appreciating the crisp but solid, firm yet smooth feel of the Honda’s six-speed ‘box. And on quite a few slip roads, I’ve been making the most of what those gears can extract from the turbocharged petrol engine. Blasting the Type R to cruising speed from third is the perfect antidote to miles of A1 (M). After that burst of fun, it’s then easy to drop it into sixth, click on adaptive cruise control and lane-keep assist, and fire up a podcast. A car that looks this lairy has no right to be this comfortable on the motorway, but that’s a benefit of the Type R being developed at the same time as the rest of the Civic range. But now to find some B-roads, and explore the other end of the spectrum. The annual Goodwood Members Meeting is a celebration of all things vintage, with flowing bodywork, low mechanical grip and the sound of crude naturally-aspirated power providing a rich atmosphere. If you had to choose a car that’d stick out there then, you’d probably put the turbo-powered Honda Civic Type R near the top of your list – and you’d be right to. It’s engineered to carve through b-roads, it’s full of technology to make your life easier – and with that wing on the back, it looks more like a 1920’s biplane than an automobile. Nevertheless, with the car packed on Saturday morning, full of clothes that were nowhere near warm enough for what was to come – the Honda and I set off from Stamford. The journey to Goodwood takes around three and a half hours, but I’m now well aware how easy it is to eat up the miles in the Type R. Tanked up with fuel and prepared with a decent playlist, the journey was relatively simple – though the weather had other ideas. Goodwood car parks always seems to turn into a no mans land of stranded classics and hatchbacks, and the appearance of snow now added to the equation, I knew things would be tricky. After getting interesting looks by those in MGs, Healeys and other classics, I parked the Honda somewhere in a field, and guessed I’d need it towed out. In fact, I made it out, but only by reversing for around 10 minutes along a safe path of metal ramping; any three point turns would’ve left me on the mud, and likely stranded. I survived then, but perhaps the car’s interior will need a serious valet. After making a break for it, I probably experienced one of my most unhinged drives with the Type R ever. With the roads car covered in snow and girt, and the tyres slick with mud, almost every press of the accelerator saw a flicker of the traction light – but even in the most adverse conditions, the Type R was still predictable. Sure, launching out of Chichester’s numerous roundabouts resulted in several big losses of traction - just enough to put a grin on my face. It may look modern, brash and be highly engineered, but the Civic really feels like a direct, responsive drivers’ car. And isn’t that partly what Goodwood is about? 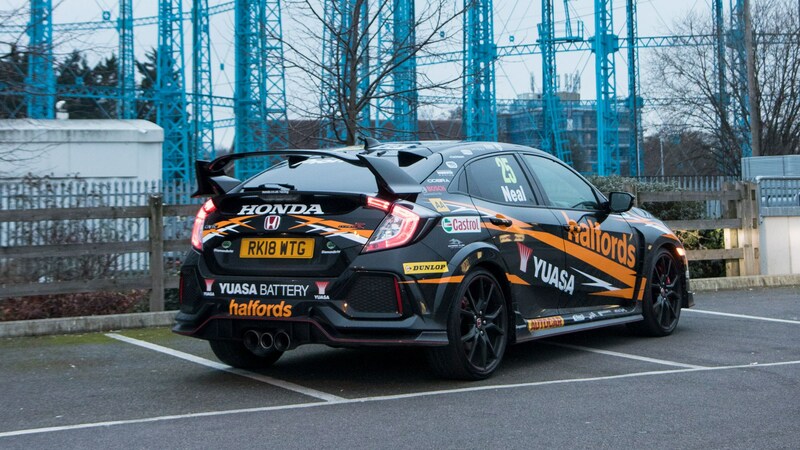 It’s a bit much, isn’t it?’ That was the first thought that came to mind when I saw the new Honda Civic Type R GT. Bulging with extra air intakes and wild vortex generators, and finished with an enormous OTT spoiler, the Type R isn’t what you’d call discreet. In fact, it looks more like a Transformer – and I like it. I first drove the latest FK8-generation Type R car a year ago at the international launch, both on track and road, and my experience was positive – but limited. It was the first manual car I’d driven in ages, and on the track at least it felt sharp, fun and uncompromising. But now it’s going to be my daily drive in more humdrum surroundings. When CAR reviewed the Type R last year, we found it to be the most well-rounded hot hatch in ages. That’s something of a relief, because a good amount of my life is in London, so I’ll be using the performance-minded Honda to shuttle myself between Stamford and Bromley. That’s not the nicest two-and-a-half-hour journey in any car, and takes in driver’s favourites such as the M25, M11 and A1(M). But it looks like the Type R may be better suited to the mundane than many other hot hatches. Comfort mode – new for this year’s model – softens the suspension, cools the powertrain and lightens the steering, while adaptive cruise control and lane-keeping – part of the £2000 GT package – give you a helping hand when you need it, too. Throw in four seats for normal-sized humans and a proper boot, and the Type R could actually be rather practical. What about the interior? Posh cabins have never been the Civic’s forte and this one is far from the plushest among today’s hot hatches. Its infotainment in particular looks quite basic – but it’s clear most of the £30,995 you pay for this car has gone into performance. Still, credit where it’s due: it has a wireless charging pad for compatible smartphones. I’m looking forward to doing some serious miles. While Comfort mode will probably be the setting I use when travelling to London and in day-to-day commuting, the Sport and R+ modes are clearly where it comes most to life. The six-speed transmission is both mechanical and tactile – making gearchanges incredibly satisfying. Thanks to a turbocharged 2.0-litre four-cylinder VTEC engine, the Civic is quick enough, and gets to 62mph in 5.8 seconds. The car boots up on Sport mode by default, but flicking a switch selects R mode, and with it a more aggressive set-up. The suspension is firmer, the steering heavier, and it’s a setting I’ll no doubt enjoy exploring in the coming months. The Civic Type R is a car I’m really looking forward to using day to day. On paper it’s the best of both worlds. We’ll be finding out if that’s the case.